Terry J. Fry received a B.A. from Colgate University in 1988 and M.D. from Georgetown University in 1992. After completing Pediatric Residency at Georgetown in 1995, he served as Chief Pediatric Resident. From 1996-1999 Dr. Fry trained in Pediatric Hematology and Oncology at Johns Hopkins University. After postdoctoral training in the laboratory of Dr. Crystal Mackall, Dr. Fry established a research program focused on the immunology of stem cell transplantation as a platform for cancer immunotherapy. Dr. Fry became Chief of the Division of Blood and Marrow Transplantation at Children’s National Medical Center in 2007, a position he held until 2010 when he returned to the Pediatric Oncology Branch as Head of the Hematologic Malignancies Section. In 2018 Dr. Fry left the NIH and is now Professor of Pediatrics, Hematology and Immunology, Co-Director of the Human Immunology and Immunotherapy Initiative and Director of Cancer Immunotherapy at the University of Colorado School of Medicine as well as the Robert and Kathleen Clark Endowed Chair in Pediatric Cancer Therapeutics at the Children’s Hospital Colorado. He is a member of multiple societies including the American Society of Hematology, the American Association of Immunology and the American Society of Blood and Marrow Transplantation and was elected into the American Society of Clinical Investigation. 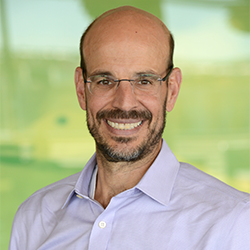 He also serves in leadership positions in the Oncology Strategy Group in the Pediatric Blood and Marrow Transplant Consortium and the Cellular Therapy Committee in Children’s Oncology Group.